Being a Boston sports fan has been such a good thing for about 20 years now! Anyone age 30 or younger must feel championships are their birthright. Those of us age 60 certainly realize how fortunate we have been. bobc33 wrote: Being a Boston sports fan has been such a good thing for about 20 years now! You got that right. Many disappointments over a long period of time. We certainly will not take this run for granted. With all my love for the Celtics, they are 1 and the Red Sox are 1A to me. Big big fan since I was a kid. And now, my son and I watch almost every game on reply the following mornings and we play baseball in the park nearly every day- even with some afternoons now in the 40s. This is a team of destiny and I dont see the Dodgers doing much to get in the way of that. Cue the Duckboats - Sox in 5. I don't know mrkleen09, ESPN is giving it to the Dodgers since they blew it last year. You know, "the feel good, we lost it last year, we're back this year, we're pissed and it's our time!" story line. Idiots...I'm with you. BOS in 5. Maybe get the broom out! Four world series in 18 years. I love being spoiled. Nice 3-run homer for the breathing room! Great first game! I like watching the Dodgers, Kershaw and Magic eat it and watching it slip away! They never showed Magic AFTER the 3-run homer. Figures. Typical win for Sox, death by 1,000 cuts. I recall when the Celtics won it all during the parade there was just a glimpse of a boy holding a sign, the sign said "5 years old, 5 parades"
I actually feel bad for these kids like him, his generation from Boston will all have to end up going to the moon while president and curing cancer the same afternoon they are able to declare world peace in order to feel like they are a success. Winning does come at a cost. Keep the broom ready! Looks like Celtics are going to have to win it all this season! Two more to go for Sox! Another hard fought win for Sox. We'll see on Friday what LAD is made of for sure. It is a must win. Who's pitching? Walker Bueller? Really?!! Anyone?! Anyone?! Something D...O....O Economics? Well done Mookie! During the World Series too. Man this is unbelievable baseball! Epic game. Outcome less than desirable, but it happens. Sox will put up 7 or 8 runs tonight. Hard to believe I was watching for7 + hours. LAD a must win for them. 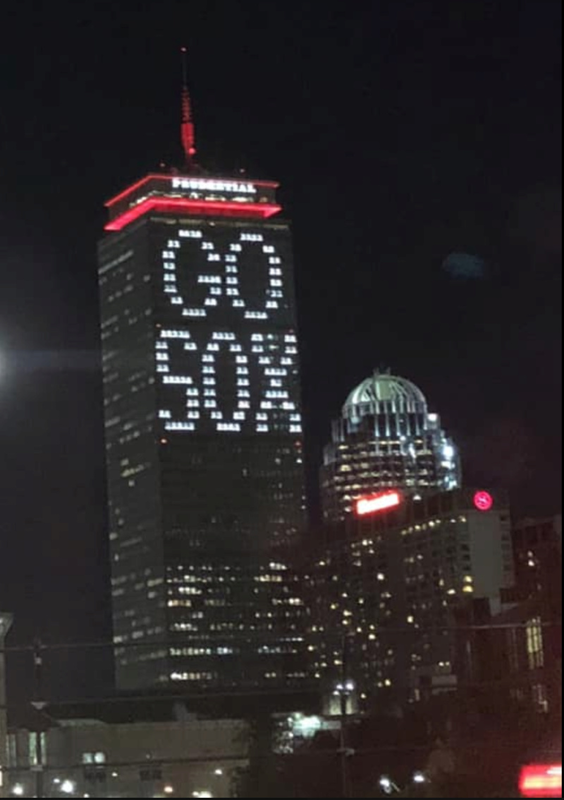 Sox are a tough out. Historic game of epic proportions. mrkleen09 wrote: Epic game. Outcome less than desirable, but it happens. Sox will put up 7 or 8 runs tonight. Wow, putting up big time runs. Takes all the sting out of the game 3 loss. Dodgers pretty much had to win Game 3. That would have been devastating to them had they lost...But then BOS literally rips their heart out and stomps on it with 7 outs left. That was priceless. Celtics take note. They DID DAMAGE! To give them the feeling they were colse to evening this thing up and then to have BOS do what psychological damage they did, that can't be measured. Well played. Beautiful Fall Classic Baseball. Not getting the victory wagon out yet but they are getting close. Now the Dodgers, and Magic, are just about to resign as there is no solution. This couldn't happen to two more deserving teams. Time to surrender.